Many people ask me: "Do you observe signs of global warming?" I show them the following pictures, which compare 1918 with 2002. Like almost all glaciers in the world, the spectacular glaciers in Kongsfjorden are retreating too. Retreating glaciers are linked with global warming, but glacier dynamics are not a simple result of increased temperature. 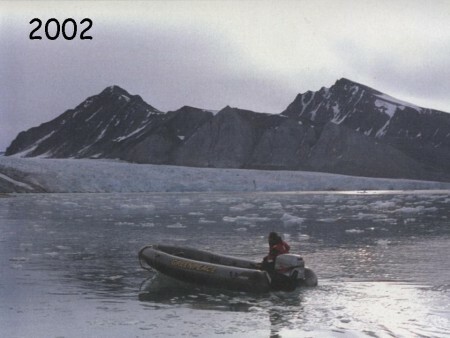 In 1991, glaciologists learned me that glacier retreat and surge occurs in a cycle of roughly 400 years. The snow builds up in the mountains where temperatures are above freezing. When snow accumulates, pressure builds and ice is pushed downward. 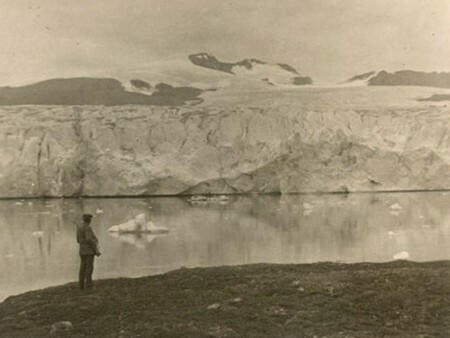 A tip of the glacier searches and moves to an area where temperatures can be below freezing. Melting takes place, but the ice mass is so large that the ice only slowly disappears. When the pressure from above stops, the melting is the only process taking place and the glacier retreats. 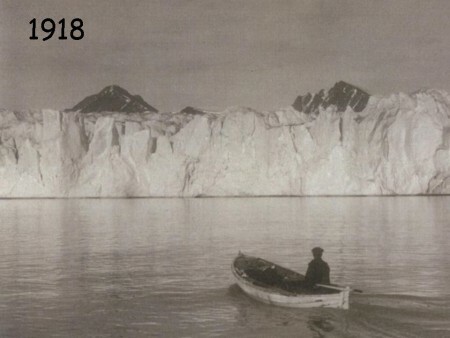 Moving glaciers are not new. 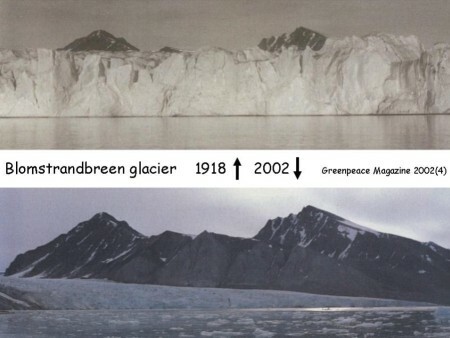 But recent findings suggest that the glaciers are reacting faster on climate warming that expected. The new hypothesis is that the meltwater on the bottom of the glacier reacts as a lubricant and facilitates the ice flowing. 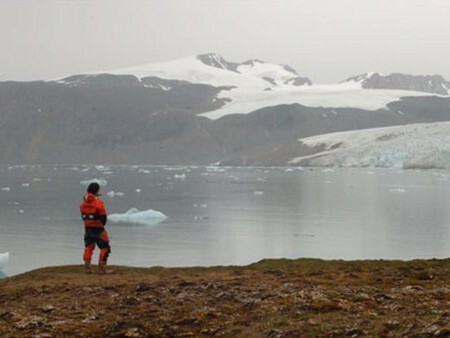 The disapperance of sea ice on the Arctic Ocean will change percipitation in this area. More water surface will facilitate more water in the atmosphere and cause more rain and snow. If the extra snow falls in the mountains, the build-up of pressure will happen faster, which will lead ulitmately to a new search. This page has been given the following keywords: [global warming] [glaciers] You can click on each keyword to get an overview about related pages.